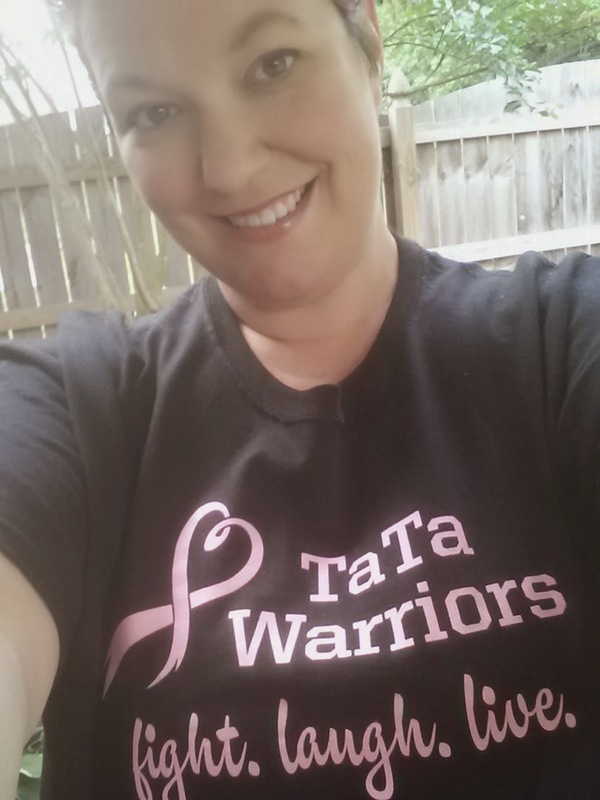 Home / Awareness / Personal / Fight. Laugh. Live. Episode LXXVII - Are you ready boots? Start walkin'! I left my afternoon Oncologist appointment with barely enough time to make it home and get my family ready for Relay for Life. Of course the people who decided to start roadwork during rush hour did not help me get home on time. Really... Friday... at 5?!?! I am wearing my shirt!!! 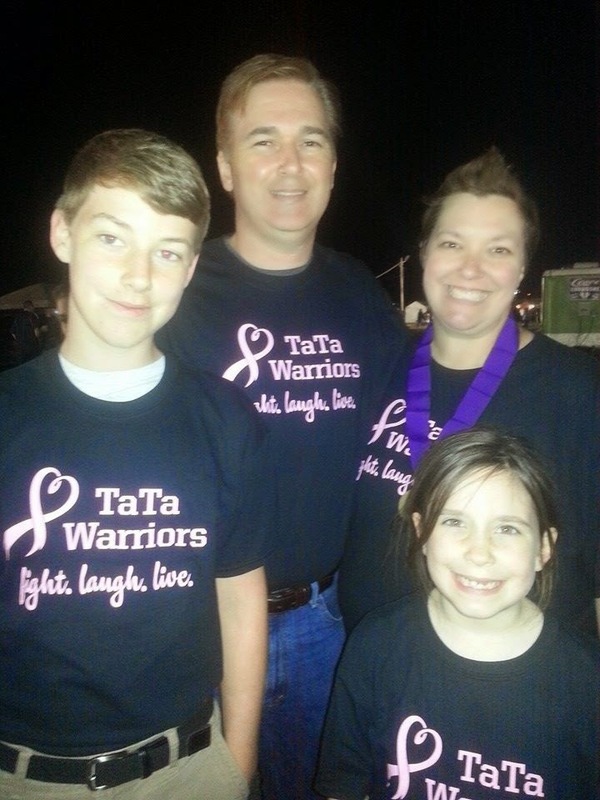 My family got on our matching TaTa Warriors shirts and rushed out the door, minus dinner, to make the event on time. The kids got a snack, but I think that lack of dinner might cause some issues in a few hours for my two. A friend of mine was also on her way to the event. Even though I decided only a few weeks ago to participate she opted to be walk with me. I was not surprised as she had taken me to most of my chemo treatments... she went through the cancer journey right with me. Even though I hurt all over and my bones ached... I was able to walk and I was going too. Not only that, but I was extremely lucky to be sharing the event with some people I loved. The night was full of fun events. 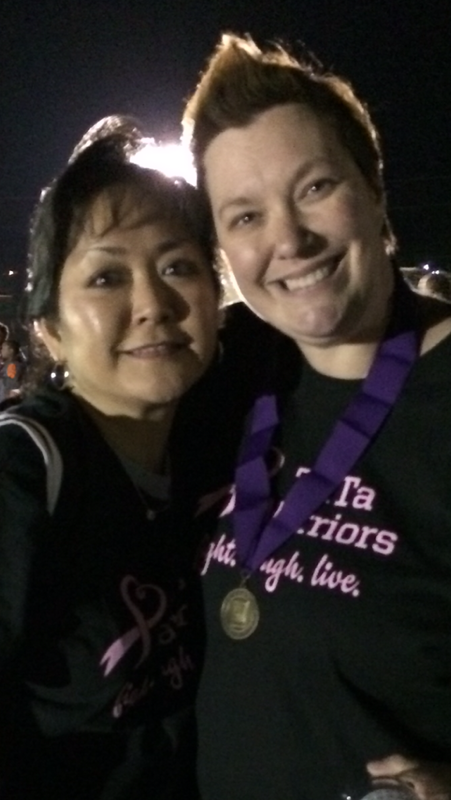 I got to walk the first lap with other survivors and the second lap with my caregivers (my family). After that, I walked to walk. I should say I strolled slowly around and looked at all the team booths. That counts as walking... right? One booth had a ping pong ball contest where the balls landed in bras for prizes... that was awesome! Bra Pong... Save them all Big or Small!! Food, live music, line dancing, balloon animals, and even men dressing up for cancer. The event went throughout the night. I made it until the late hours. By 10:30 pm we were all starving and decided to keep the party going with a late night dinner. I was not home until after midnight! I have not pulled a late nighter in a long time... I was going to pay for it the next day. In my reality, I paid for it for the rest of the weekend. I was exhausted! I slept until noon the next day - seriously! Despite my exhaustion, I was glad I did it. Most of my family live hours away in another state and with my last minute decision to walk could not make it to the event. 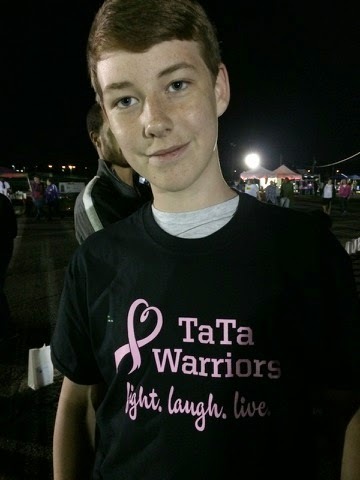 However, we decided that I would do another Relay for Life in their town next month. Guess I need to keep on walking!!! 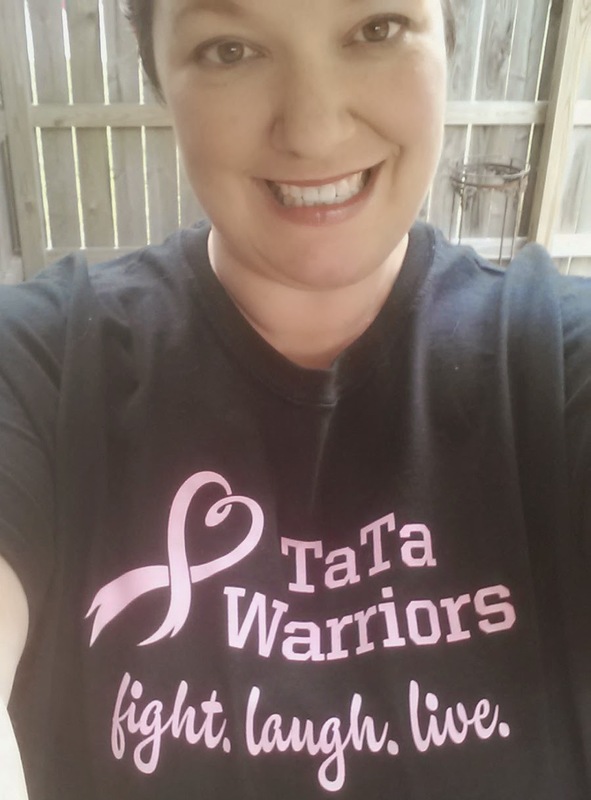 I am so lucky to have so many people supporting me and they are my TaTa Warriors... they keep me fighting. laughing. living. Hence, three words on my shirt! I love: fight. laugh. live. I will fight this. I will laugh through this. I will live... (and live joyfully)!! !